So to make a long story short...JFK airpot is a mess so we ended up staying in NY another day and ended up in Boston on our way home. We had a 5 hour layover so we grabed the Silverline (there bus/subway) and headed in the city of Beantown. 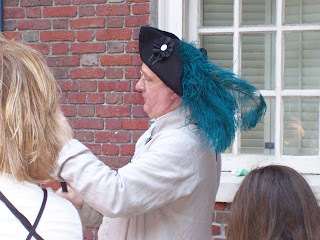 We followed the freedom trail and saw as much as we could while there. I didn't get to see everything so I guess I will have to go back. Boston is a beautiful and clean city and also very quiet compaired to New York. I'm glad yo took pics! Thanks for the purse. Are you excited to go again soon? !